Captivated by the immense power of music since she was young, Kandle Osborne devoted herself ruthlessly to playing and creating it; first as a teenager learning Nirvana songs in the cafeteria and then eventually as a young woman, teaching herself to sing. Enveloped by the endlessly innovative and supportive Montreal music scene, she released her first full-length, In Flames, to critical acclaim. Her music speaks to the loners and the forgotten, navigating the less-travelled corners of sound and feeling with bold, uncompromising vision. Her music provides a light for the lost – ablaze and raging, illuminating the places angels fear to tread. 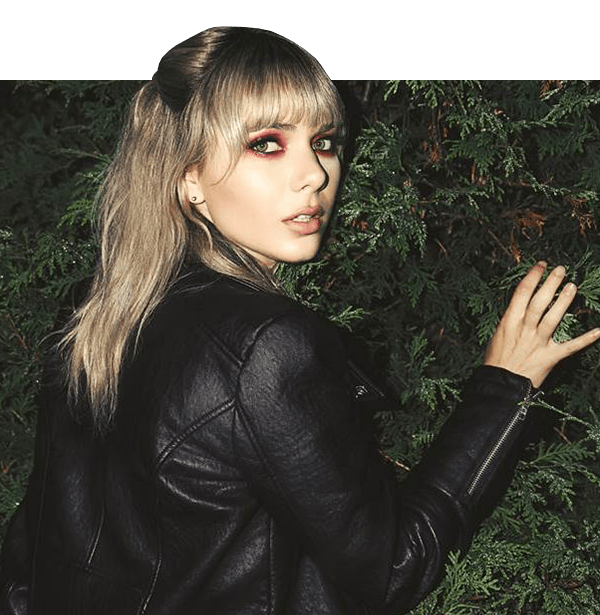 Kandle’s latest musical offering is the 2018 track “When My Body Breaks”, featuring July Talk’s Peter Dreimanis and Broken Social Scene’s Sam Goldberg. Now I find myself a grown, wandering nomad — serenading strangers in search of the home I've never found. There's an underlying haze of beauty in solitude where you find yourself caught between two worlds — what is and what could have been."